Think-Ability Rehab Services is a company based on providing excellent occupational therapy, physical therapy & speech therapy services for clients within the scope of home health care. Each client is important and their needs are as different as each individual. We strive to provide the best quality of therapy according to need and to assist and achieve full recovery and wellness to the highest quality as possible. Orthopedic Conditions Orthopedic problems can lead to crippling issues with ability to get around or do for oneself. Do you or a loved one have this problem? We can help. CVA or Stroke Is a family member recovering from a stroke? Are you struggling with answers and wonder if therapy is working or should be continued? Arthritis Is a family member suffering from arthritis? Think-Ability Rehab can help with arthritis treatment. Hip Fractures Hip arthritis limiting your mobility? Hip fracture is not just a potentially disabling injury; it can be life threatening, especially in the elderly. How can we help? 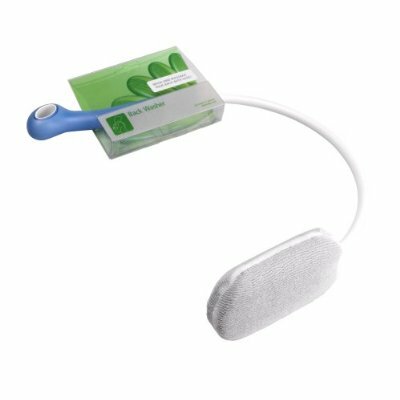 Beauty Back Washer Length: 30-1/4" The Beauty Back Washer enables you to reach and wash your back without having to strain your arms or back. Rehab clients would benefit; therapists and therapy goals surround this adaptive equipment because it works. 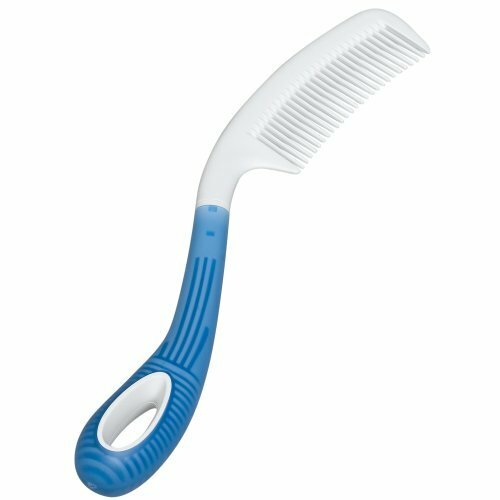 Beauty Comb - Long Handle Length: 14-1/2" Allows easy reach when range of motion is limited. Lightweight feature with less stress needed to reach. 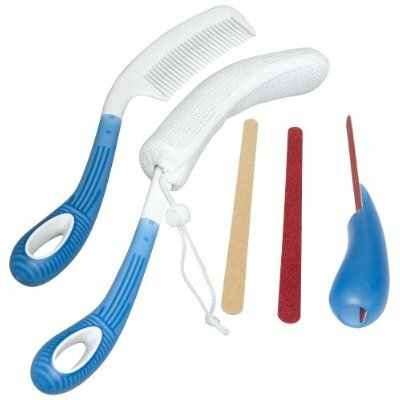 Great for arthritic clients who have used therapy tools in the past and want to improve quality of life. 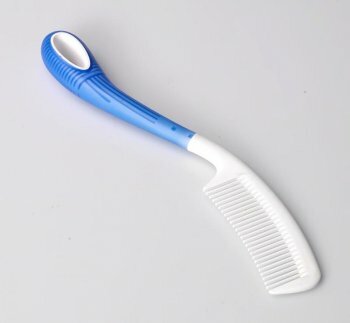 Beauty Kit Includes: Body Washer, Comb Long, Multi Purpose Grip. Great for individuals/clients who are in need of adaptive equipment in their daily lives to improve quality and self capability. 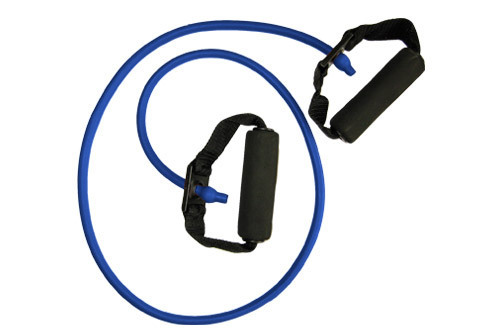 Blue resistance band Resistance tubing and bands are two of the most affordable training tools available and can provide an effective upper- and lower-body workout for just about anyone. 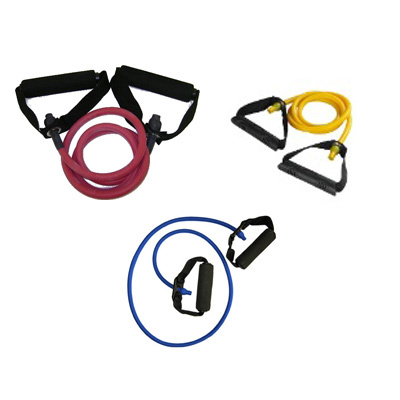 Resistance Bands Resistance tubing and bands are two of the most affordable training tools available and can provide an effective upper- and lower-body workout for just about anyone. 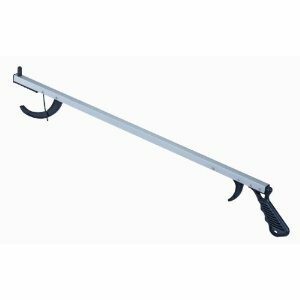 Walker Ski - gliders These glides easily last more than twice as long as rubber or thinner plastic glides! 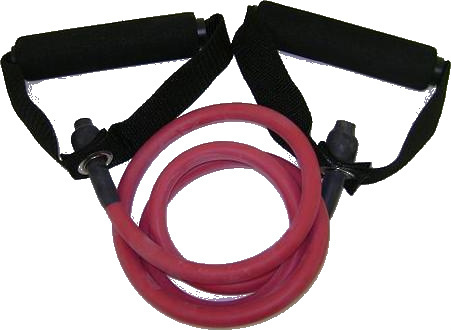 A great choice for active people and use on rough outdoor surfaces like concrete. 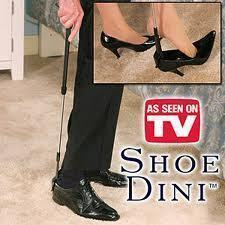 Compatible with walkers from Drive Medical and most other major manufacturers.